Since 1991, Leadtec Services has conducted thousands of lead-based paint hazard evaluations for both residential homeowners and property owners. We remain the only company in Maryland solely focused on the prevention of lead poisoning through inspections and training. The entire Leadtec Services field staff is accredited by the Maryland Department of the Environment and U.S. Environmental Protection Agency to conduct lead-based paint inspections that certify a property meets the legal requirements to receive a lead free or risk reduction certificate. Lead-based Paint Inspection is the most comprehensive level of lead paint testing typically performed. It involves the testing of every conceivable differently painted surface (approximately 100-125 surfaces) inside and outside of a home. 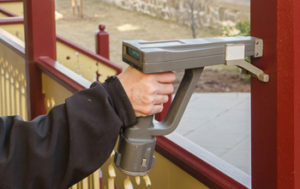 Testing is done using a state-of-the-art portable x-ray fluorescence device (XRF) that detects lead and does no damage to the painted surface. This inspection is for landlords seeking lead free certificates and others who want to know if and/or where lead paint is present. Lead Risk Reduction Inspections involve visual inspections combined with dust sampling of residential rental properties likely to contain lead based paint. In most cases, landlords are able to receive a risk reduction certificate, the minimum certification. Each time there is a vacancy the inspection must be repeated for a new certification. Lead-Based Paint Hazard Risk Assessment combines dust, soil and occasionally water testing with the XRF testing of selected suspect surfaces. In addition to this analytical testing, a thorough visual inspection of the property is made and an extensive interview is conducted with the occupant to determine how the property is used. The result of a risk assessment is a lead hazard control plan that helps the occupant(s) to control identified lead hazards.